When you work full time as a web developer, you learn that part of your job includes self promotion and strategy. I’m constantly getting offers from all kinds of online marketing and service promotion companies asking me to sign up and join their service. Or other web designers who want to team up to trade links. Although those very techniques can be useful, I tend to be anti-social when it comes to forging online alliances in order to get more business. After posting a craig’s list ad last year advertising my WordPress blog design services , I was approached by a new site called Thumbtack.com that was suggesting I sign up an join their local network. Thumbtack’s site description simply states “Find and book trustworthy local services”. I was pretty intrigued because as a web designer I know what to look for when I cruise through a new service I may be interested in joining. 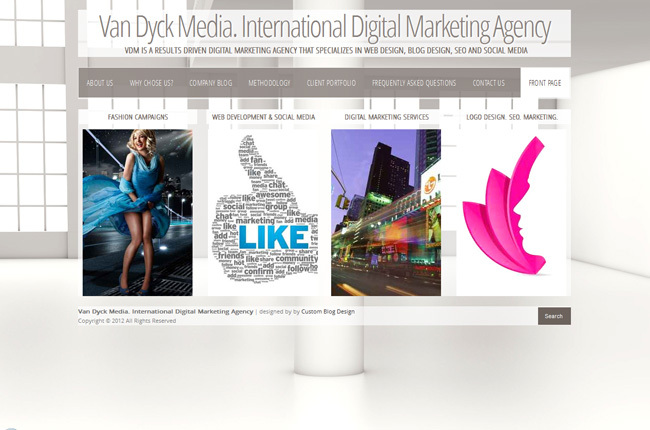 The site was clearly well designed and managed and everything I researched about them seemed to be positive. I was slightly annoyed by the fact that I had to pay per lead that was sent to me, but I soon quickly found out they have a low $14.99 subscription fee that allows you to respond to serious minded people who want to actually hire you. 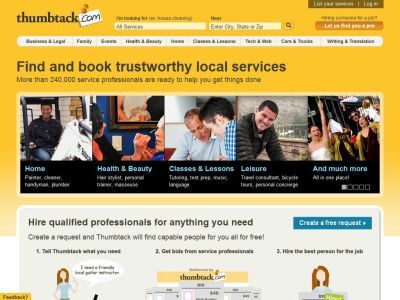 Thumbtack seems to be a service that is a lot like craigslist.org, but much more reliable, professional, and business centric. The problem with Craig’s List is that because it’s a free service, it tends to attract people who are looking for unrealistically low prices with high design expectations. Some people on CL don’t even have an actual budge to work with and will ask for students to make them a free site for their student design portfolio. The bar is set very low on Craig’s List, and if you cannot figure out that you get what you pay for, then you will be wasting a lot of precious time using it. When I created an account on Thumbtack.com, it allowed me to add photos of my work, information about my services and a link back to my blog idesignblogs.com. Thumbtack immediately started sending me quotes from interested people who service needs I qualified for. They even text you quotes to your cell phone. Don’t get me wrong. Thumbtack is not just for web designers. It’s for any local business and it seems to be growing everyday. House cleaning, tutoring services, performers, consulting, you name can be found on . The best part is they went out of their way to make the site simple and easy to use. Anyone can create account. There also seems to be zero pressure to pay for leads. It makes it simple to pass on any offer that comes your way. At first, I chose to only pay per lead, which is usually $5.99. To be honest a lot of the leads in the beginning were not exactly what I wanted. For example, I tended to get a tons of leads of clients who wanted “photo restoration”, “printing services” or simply just “logo design”. The great thing is you can simply pass on the lead and spend no money until a lead comes along that sounds like it’s worth paying for. Lately I have gotten so many leads that I actually felt that was a perfect match for what I do, so today I decided to sign up for the $14.99 monthly fee for unlimited leads. I have had a few actual leads prior to this move, that turned into clients but not as many as I would like. The truth is there are many ways to pump up your profile on Thumbtack and get noticed that I didn’t take advantage of when I first signed up last year. So for the next few months I’m gonna give it a go and see what happens.